I was cleaning house at the office the other day and ran across this invitation. Richard Ford was always kind enough to include us in events such as this. He made it a point to contact me and explain that the invitation applied to everyone at Easterday Construction that worked on the project, inviting them to come for the celebration and bring their wives to share what they had helped achieve. Our work mainly revolved around the structure and infrastructure, so most of the field crew had not see what the completed project looked like. This was their chance to see the home with the finishes in place, the museum displays up and running and to accept the kudos Richard was always sure to give. It is always nice to have your skills and accomplishments acknowledged and Richard did this deftly. The museum is now under the Honeywell Foundation’s property umbrella. The duplex next door has been torn down to provide a parking lot for the Library across the street. This opens the home up to be seen from State Road 15. The home is starting to show a little bit of age, but in reality that just makes it look more lived in and more settled. Richard would still be proud of what he accomplished there. If you haven’t visited this museum, it is worth your time. Make it a day and visit the Twenty restaurant at the Charley Creek Inn. If it’s a summer day, you can have lunch in the Courtyard. The Charley Creek Gardens are also open to the public. These are all projects Richard completed that continue to benefit the City of Wabash. 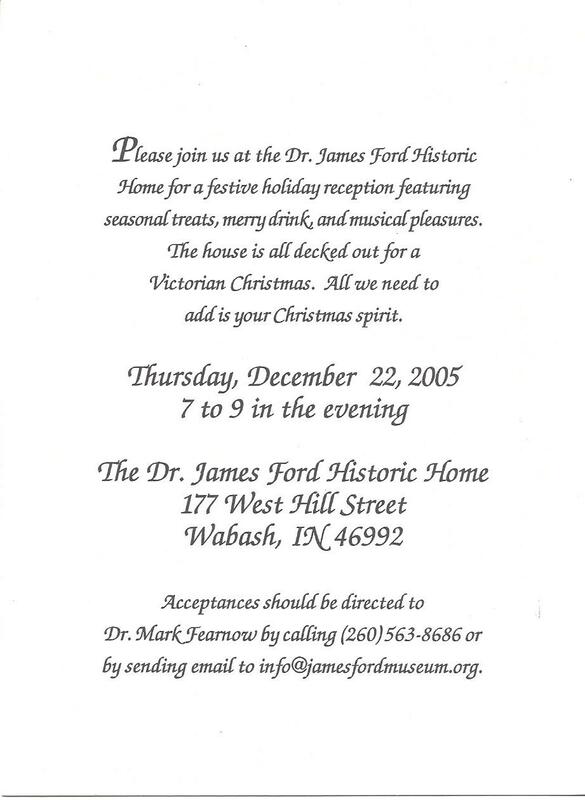 You can find out more about the Dr. James Ford Historic Home at their website here. You can find out more about Easterday Construction Co., Inc.’s part in it’s restoration here and here. There is a little more about the relationship Easterday Construction enjoyed with Richard Ford here. Thanks for sharing. We are always looking for interesting things to do in the area. Thanks for checking in and following. Glad you liked the post. Be sure and check times as they have limited hours. Check out the Twenty restaurant at Charley Creek Inn while you’re in Wabash. Their food has always been good and there are often creative specials. We renovated their kitchen earlier this year.